KONG Belly Flops brings ocean creatures to life with their unique soft yet strong material to keep your dog entertained for hours. Perfect for use on a hot day as a cooling toy. 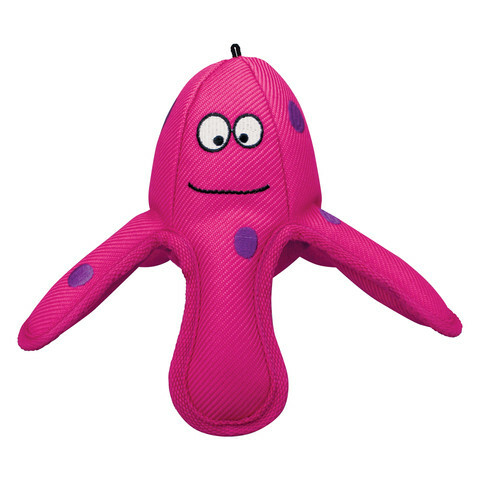 The durable fabric ensures long-lasting play with a squeaker for added excitement and floating ability for water fun. The Belly Flops Octopus is superb for trips to the beach, Lake and swimming pools to keep your dog refreshed and content all day long.